A majority of Michigan voters oppose legislative attempts to lessen the amount of Personal Injury Protection (PIP) motorists must carry, according to the results of a survey released this week by a coalition formed to fight changes to the state’s no-fault auto insurance system. Sixty-two percent of respondents opposed limits on the amount of medical and rehabilitative care accident victims can receive from their auto insurers, according to the poll commissioned by the Coalition Protecting Auto No-Fault. The group says it is composed of lawyers, doctors, hospitals and other health care providers dedicated to preserving the state’s existing system, which allows for unlimited medical coverage for victims of serious accidents. The survey is the latest salvo in an ongoing battle over Michigan auto insurance coverage. Michigan’s no-fault system was designed in the 1970s to reduce litigation stemming from car accidents. It took away motorists’ right to file lawsuits over crashes, but introduced the potential for lifetime medical coverage of insured parties who are seriously injured in vehicle accidents. 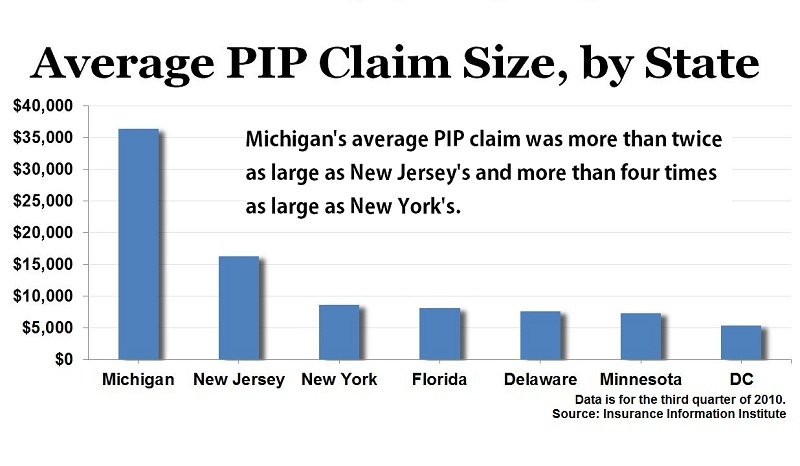 Under the system, policyholders contribute to a catastrophic claims fund that helps pay for PIP claims that exceed $500,000, according to the Michigan Office of Financial and Insurance Regulation. That contribution comes in the form of a fee that is added to all policies and that was $145 per vehicle for 2011-2012. A bill introduced this session in the state Senate, however, would allow motorists to buy as little as $50,000 in PIP coverage. Supporters say the proposed law would lower premiums in the state, which has some of the highest rates nationwide. Detroit, for example, had the highest average annual policy costs nationwide last year, according to the Insurance Information Institute. Critics, including the coalition, maintain that the changes would allow coverage providers to avoid paying for needed medical care. They say relieving insurers of the obligation to cover the costs of catastrophic injury victims would drain families of savings and force taxpayers to foot the bill for many of those patients. John Cornack, president of the coalition and chief executive officer of a medical rehabilitation center in Ann Arbor, said Michigan residents agree. The phone poll of 600 registered voters found that 27 percent of respondents support limits on medical and rehabilitation benefits, while nearly two-thirds were against such limits and 11 percent were unsure. The survey, carried out by the Chicago-based Glengariff Group, had a margin of error of plus or minus 4 percent, with a 95 percent level of confidence.